This exhibition shared concept and most artists with the Bucharest Biennale 3 (2008). Both exhibitions curated by Jan-Erik Lundström & Johan Sjöström. 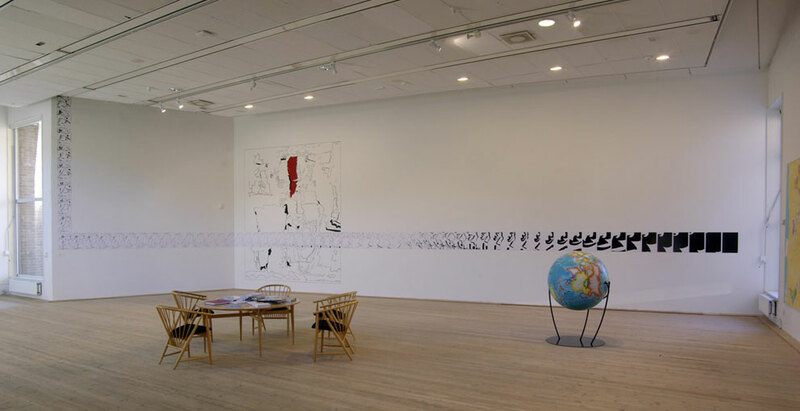 In JS' installation above, "Psycho-Mapping Scandinavia" (1995) is combined with a wall-painting of a modified last image in "Psycho-Mapping Europe, version 2.0" (work in progress 2008-2009). The terrestrial globe is a work by Sabine Rhétoré.